TRY MY NEW FAT LOSS EXPERIMENT! YOU HAVE TO SEE THIS! I spoke with a client over the phone the previous week and she shared how impossible it was for her to lose weight and be fit. She breathlessly shared her failed attempts at losing weight and all the other diet fads and plans she had tried… I totally sensed her frustration as she spoke for 3 straight minutes without stopping even to catch her breath! Losing weight is truly a frustrating problem. Gain 1 pound in 1 day and lose it in 1 week. Losing weight is one of the hardest things to do. However, there are ways of getting rid of fat that require almost no effort. Cryolipolysis is a treatment carried out by companies such as https://www.ice-aesthetic.co.uk, and uses controlled freezing of certain areas of the body to get rid of unwanted fat. Some people may consider this method of getting rid of fat as cheating, but the results speak for themselves. A lot of people may prefer this method as they simply have too many other commitments to put their body through the wringer just to lose a few pounds. Not because some people can’t do it but because some people ‘think’ they can’t do it. For some it is only a psychological barrier that needs to be pounded down. I have had countless clients come to me and tell me the number of different fads they have tried. They have tried to buy all of the info products, tried the most outrageous fads, and then finally, they have come to try my Shaping U Fitness & Nutrition Programs. I have been thinking about how I could help and I have came up with an idea to help everyone who comes to me and struggles through losing weight. And I only thought of one thing. I should be an integral part of the process, do it with them, and be accountable. I know this for certain: the brain is sometimes what I call tricky! Why? Because it forces you to think that you do not have to train or workout to lose weight; it would give you many excuses and reasons before even starting. This should be your thoughts whenever you try something hard, rather it be losing weight, learning a new skill, or sitting for a difficult exam. It might be scary to think of failing once again and it could be traumatic, but I only ask them to start their perspectives anew and believe even if it’s just for 21 days. I begged my clients to literally unlearn the things they have learned in the past. I asked them to undergo a simple yet effective experiment. Starting is one of the most difficult steps and after they overcame the most basic (yet scary) step, I ask them to go through something so basic but very helpful system that has been proven countless times. This means that they have to put their total trust in me and not to plan or even think about their training and workouts. Again, I ask them to not think rather to trust the system I have for them... a system that would provide results. 1. Make a promise not to judge this plan and prematurely conclude that this weight loss program would not work for you. 3. Forget anything that has sugar in it, even your favourite sodas or tea! 4. Stop with the unnecessary inflammatory processed foods 5. Do not get too caught up with counting every last calorie, instead increase your vegetable and good fats intake. 7. 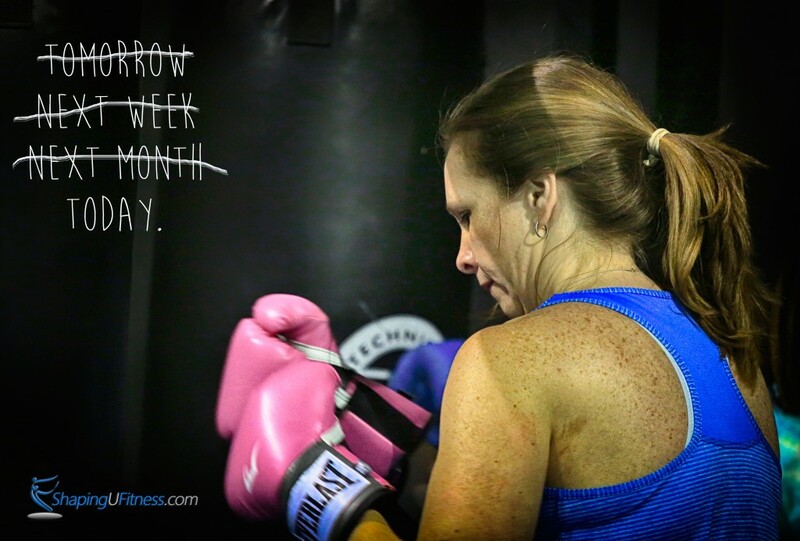 Cardio is good but do not do it every single time, instead do weight training (Which My Clients Do With Me Already) through Shaping U Personal Training....or our Boxing Boot Camp! : ) It takes 21 Days for the subconscious mind to make something a habit....so all I ask is you give yourself JUST 21 Days!! RE: 21 Day Total Body Makeover Promo!! 11. Try our Chef Prepared Pre-Portioned Healthy Meals for at least 2 weeks! These are all very easy if we just have the right mindset. I know you can do this… it just comes down to whether you are willing to try this experiment with me. Try this for 21 days, it is not even that long. Within this span of time you will realize if this works or not. Following this system will not only work wonders for you in 21 days, but will also change the way you work and your daily habits. THEN YOU WILL BE READY FOR THE REAL DEAL....MY VERY POPULAR AND PROVEN 12 WEEK TOTAL BODY MELTDOWN!